Brilliant! Love the Roman style medals. Yeah! Awesome trio - awesome photo. Love the leopard-skin headdress. Quite good. 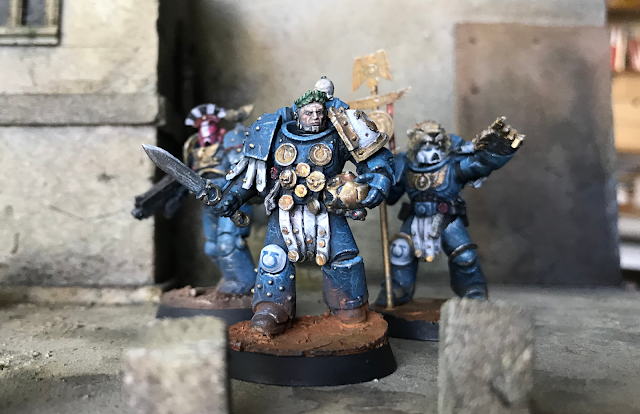 The roman medals are from Forgeworld brass photo-etch?